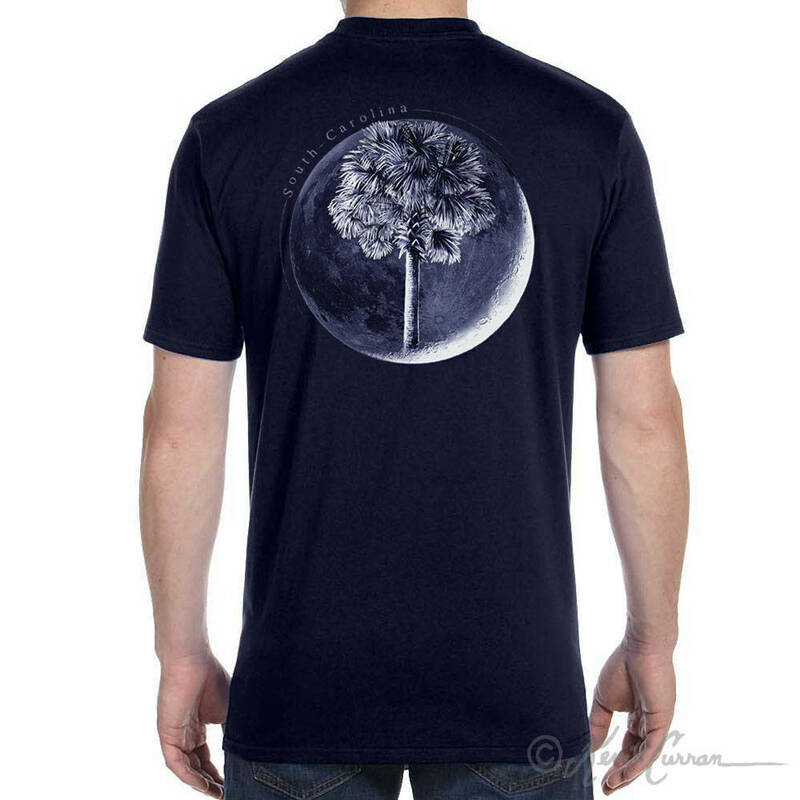 Palm in Moon Shirt Design is hand screen printed on a soft, 100% cotton ring spun shirt. It is available in sizes Men's and Ladies sizes. It is also available in our shop in a Long Sleeve and Youth Short Sleeve. "Palm in Moon" palm tree print design uses a palm tree from one of my original paintings and joins it with a Crescent Moon. The design is inspired by the South Carolina state flag. 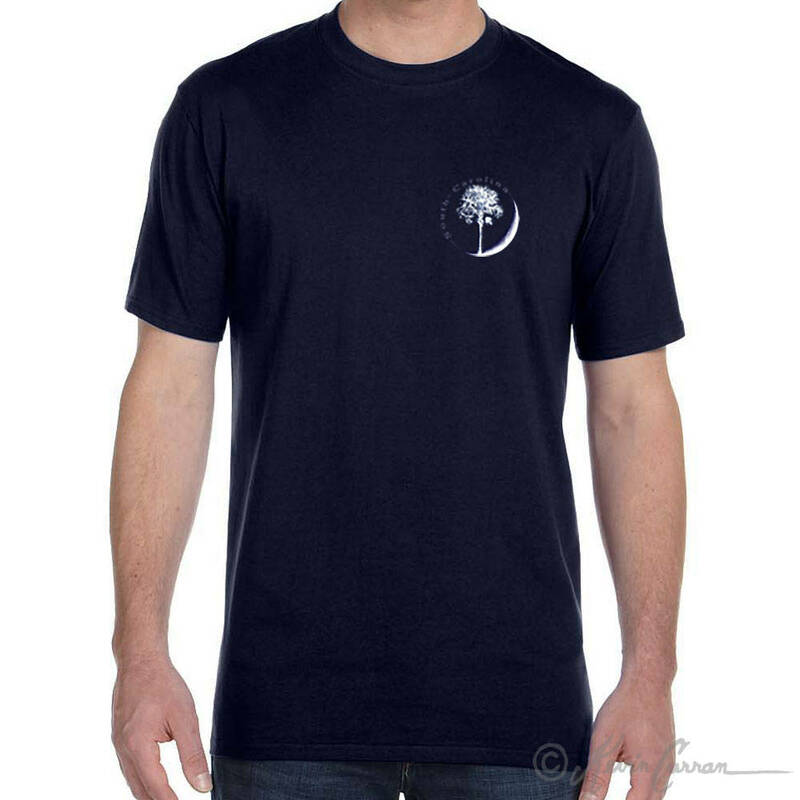 It's a great South Carolina Shirt, but also just looks cool for wherever. This shirt makes a great gift for him or her on any occasion, especially St. Patrick's Day, Valentine's, Mother's Day, Fathers Day Gift, Christmas, and birthdays.